Today ripple rank is the second largest cryptocurrency by market capitalization and volume. There are several reasons behind the popularity of Ripple coin. The goal of Ripple XRP is to be a global settlement payment network, which allows anyone to transfer money from anywhere to any currency in some fraction of time. Bitcoin wallets are free but Ripple wallets require minimum 20XRP to register your wallet address. So if you add 100 XRP to your Ripple wallet, 20XRP will be used to register your wallet address. Ripple Labs is the organization or company which created XRP token, which is a digital currency that is distributed and open source payment network, was co-founded by CEO Chris Larsen and CTO Jed McCaleb in 2011-12. 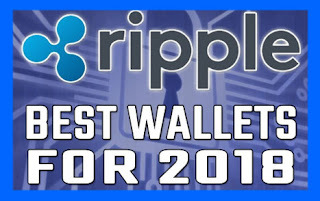 Now, the following are most secure Ripple wallets, which can store your Ripple XRP safely. Ledger Nano S is one of the most popular Ripple wallets, that acts as an inter USB device, that can get plugged into any device via USB cable and supports multi cryptocurrencies like Ripple, Bitcoin, and many more altcoins. Security of this wallet is awesome, It includes a 2-FA authentication, secured PIN code, and recovery seed accessibility. It has made up with built-in OLED screen, where you can check the transaction details with a double tap button. check out our Ledger Nano S Post for complete learn how to start using the Ledger Nano S.
Binance is a very fast growing exchange that started in the mid of the year 2017 and is rapidly adopting multi new cryptocurrencies for its customers. If you want to buy XRP immediately, you can use Binance, go their get and store in XRP wallet on a binance exchange. I used Binance to convert my bitcoins or USDT into XRP & stored them in my Binance XRP wallet. Another good thing while storing your XRP from Binance is that you can easily transfer your XRP coins into BTC or ETH in quick time. Toast Wallet is the easiest wallet being used for storing your Ripple XRP. It is available for different platforms like Windows, ios, Android, Mac and Linux, with a simple structure interface, which allows you to store XRPs across all your devices. Toast is open source XRP specific wallet, which is very simple and secure, various features in this wallet which make him top Ripple wallets for ios. It has also same features like backup and recovery feature along with its secure PIN makes it best and strong wallets. The process of a store and preserve Ripple is quite simple in this wallet so that anyone can use it very easily. Another feature of Toast Wallet is that it does not take any transaction fee and is totally free of cost for all users. You only have a 20XRP in your wallet to process your transactions. This mobile wallet is free and open-source. It is available for both Android and iOS, also desktop versions available for Windows and Linux. The interface is clean and the app is very easy to use. 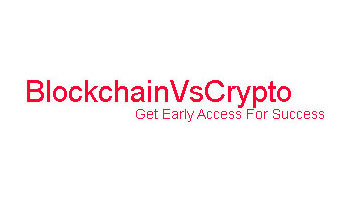 They also provide security in private keys and Backup recovery phase. CoinPayments is a web wallet with exchange platform which works similar to a banking system where you can open an account and store currency. It has a mobile app for Android and iOS users, so you can easily download and use it. It supports more than 100 altcoins with a very low minute transaction fee and is the strongest XRP wallets. Their website is easy to use and simple interface, and user-friendly. It's integrated with Magento 2 Store. This is the best XRP offline wallets. This is not as very safe, people who are sure and are not convenient with the use of web-based can try this. It is advised to store & secure the piece of paper very carefully. Anyone who interested to store currencies in a piece of paper they can use this. Please create copies of a paper piece as paper can easily be damaged or lost. As the paper contains information including your private keys, the Backup phase you should be very secure about your data. It is available in mobile and web version. It is light-weight, easy to handle with the multi-currency wallet. It is very secure and supports most of the well-known cryptos. It’s safe to use and compatibility with most of the devices which make it one of the supreme Ripple wallets for Ios users. Guarda does not store any kind of client information, wallet data or private keys. Guarda is an anonymous wallet. It enables you to transfer your assets from one currency to another currency, without requiring a KYC process.